Ok- so I've been slacking on the scrapbooking lately. Third grade has been a lot of work! Since I haven't had much time to scrap, my scrapbook/craft area has turned into a "Let's pile stuff here" area. 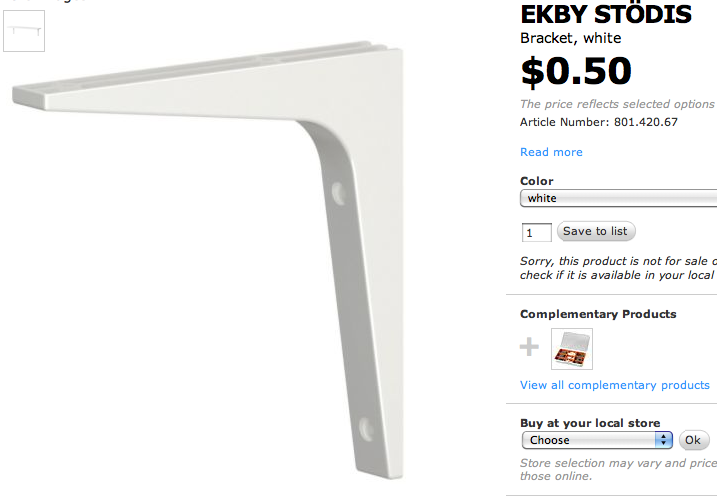 Kerry and I bought the LACK floating shelves from IKEA in the summer. 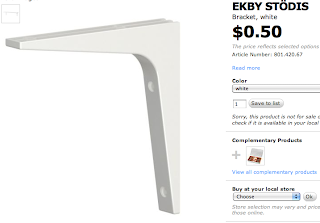 I like the shelves, but they aren't very sturdy, so I didn't put much on them...until last week when we bought 4 EKBY STODIS brackets at $.50 a pop ! I did a little rearranging of my table and scrapbook storage boxes and voila ! 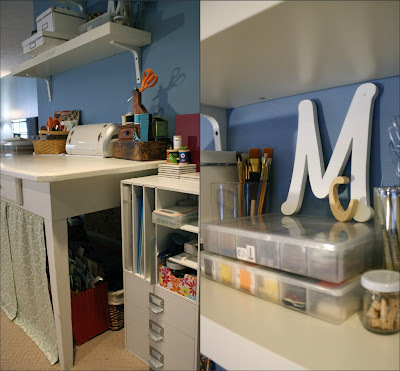 Organized scrapbook/craft area ! cute way to hide some of my craft materials.